Fine and very scarce American 14K gold and gold quartz antique pocket watch chain with locket fob circa 1880. 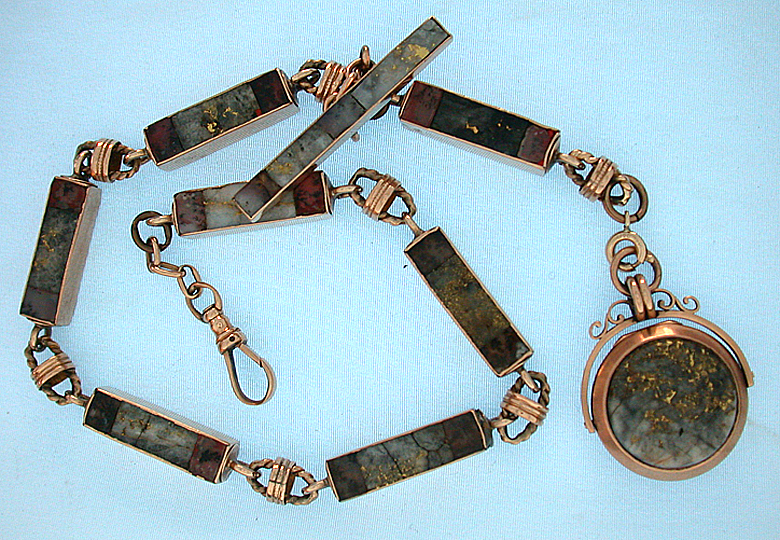 Gold mounted rectangular quartz specimens connected by fancy links with fob. 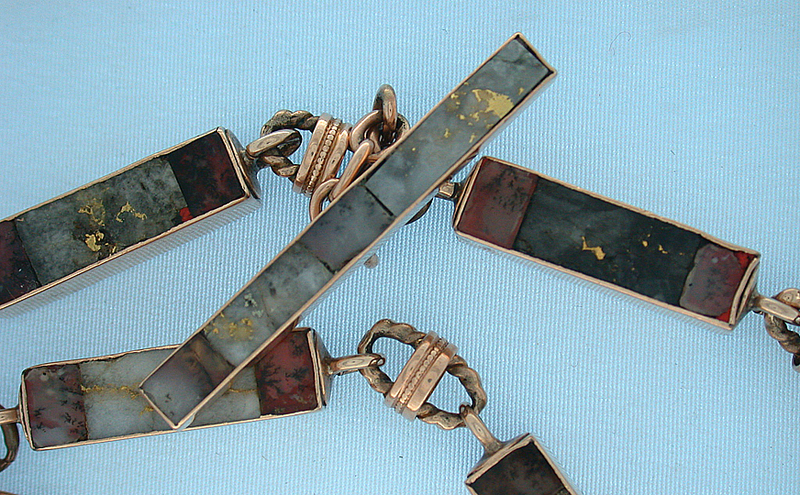 There are three pieces in each side of each link; gold quartz sandwiched between two pieces of moss agate. 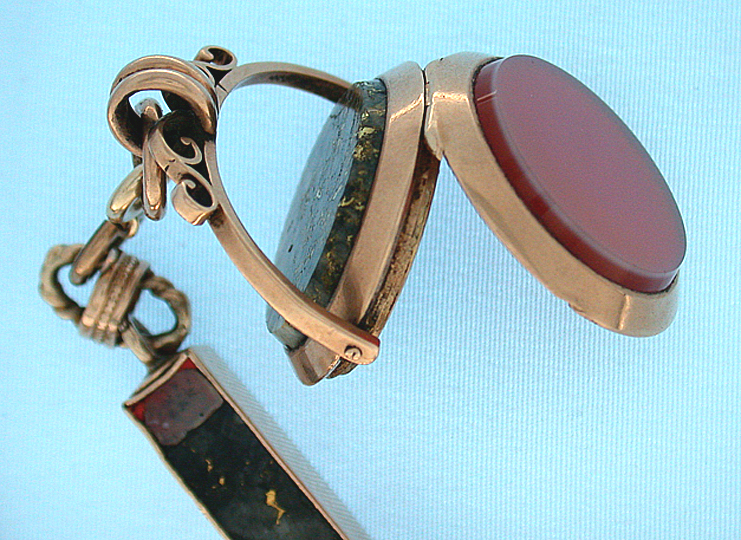 The matching swivel locket fob is set with agate and gold quartz. Total weight 53.5 dwt. 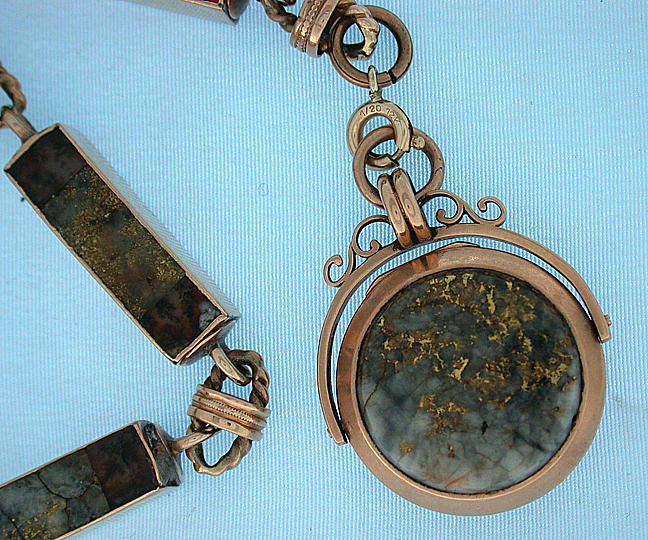 All gold quartz chains are scarce, and this handsome example is twice the usual weight and size.